In a crock pot, add chicken and season to your liking, add onions, celery stalk, garlic and broth (enough to cover your chicken and use water if the broth isn’t enough). Cover and cook on high for 4 hours. Remove the chicken from the crock pot, reserve ½ cup broth and discard the rest. Shred the chicken with two forks, return to the crock pot with the ½ cup broth, the ½ cup hot sauce and the water chestnuts. Set on high for an additional 30 minutes. This should make 3 cups of chicken, sometimes more if you are using extra-large chicken breasts. 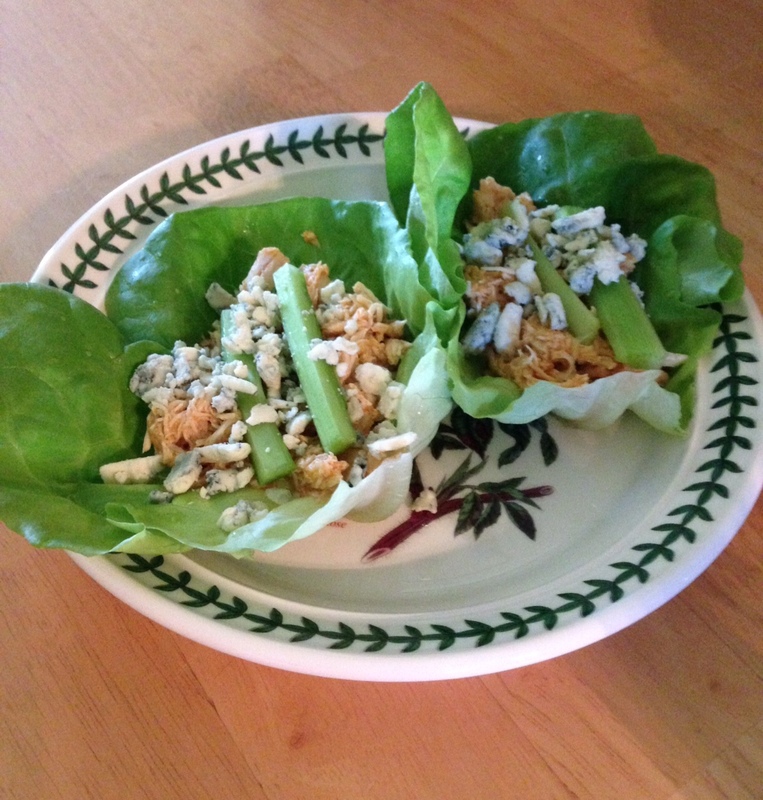 To prepare lettuce cups, place ½ cup buffalo chicken in each leaf, top with ¼ cup shredded carrots, celery and blue cheese if you like. Wrap it all up and enjoy!